Today we opened our new box of small world construction equipment. 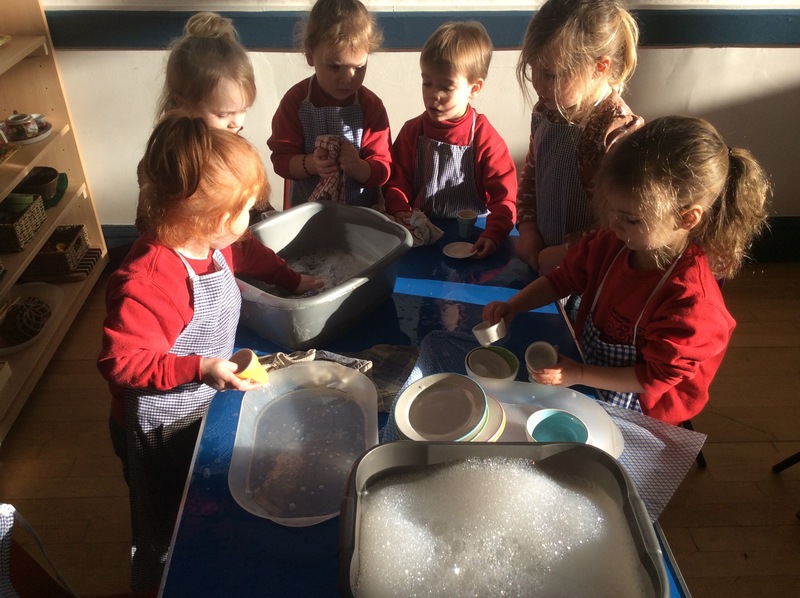 We used rice and placed the magnetic letters into the Tuff tray. 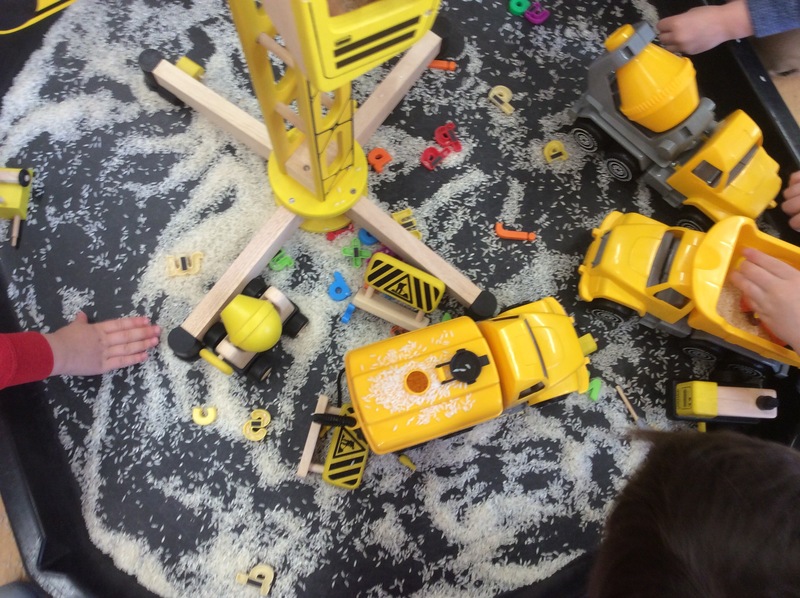 Some of the children buried the letters in the rice, transported them using the crane and a few were mixed in the cement mixer. 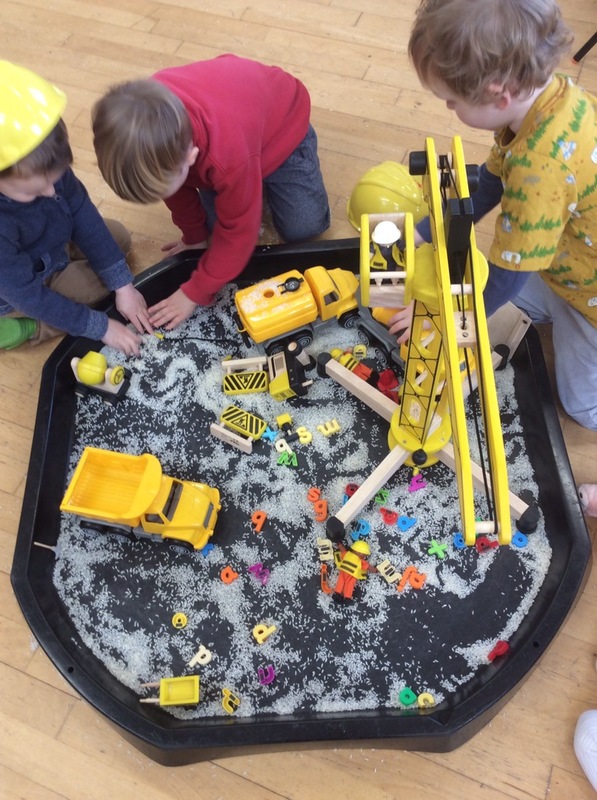 This activity is great for getting the children to work together, use their imagination, experiment with texture, weight and letters. 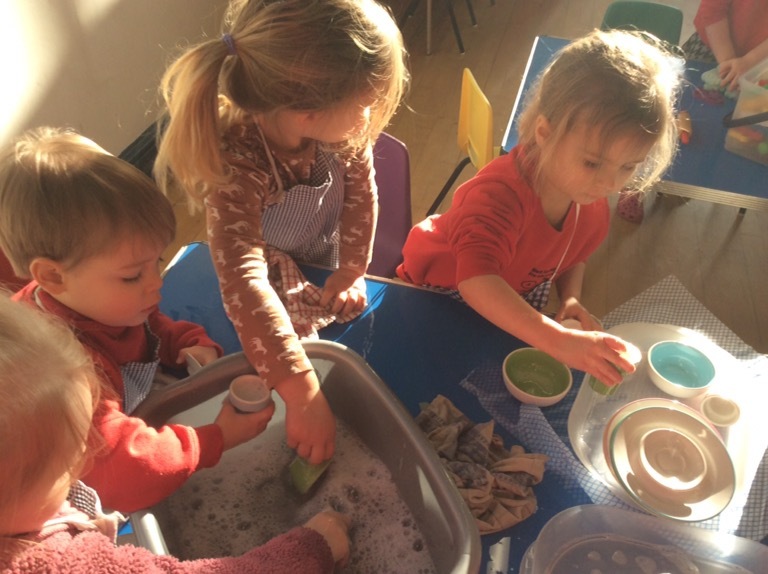 In our home corner we were setting the table for lunch, taking orders for food and also washing up. 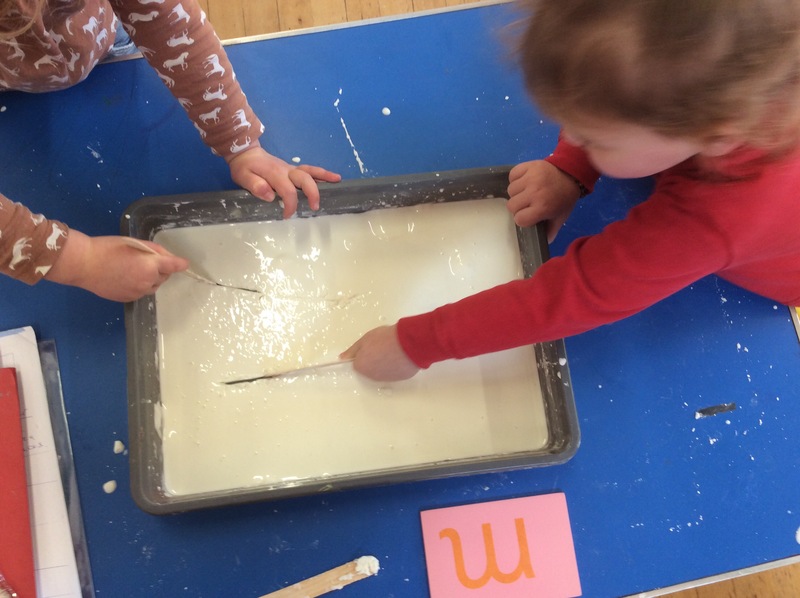 We used cornflour and water to create a lovely texture for mark making and experimenting. 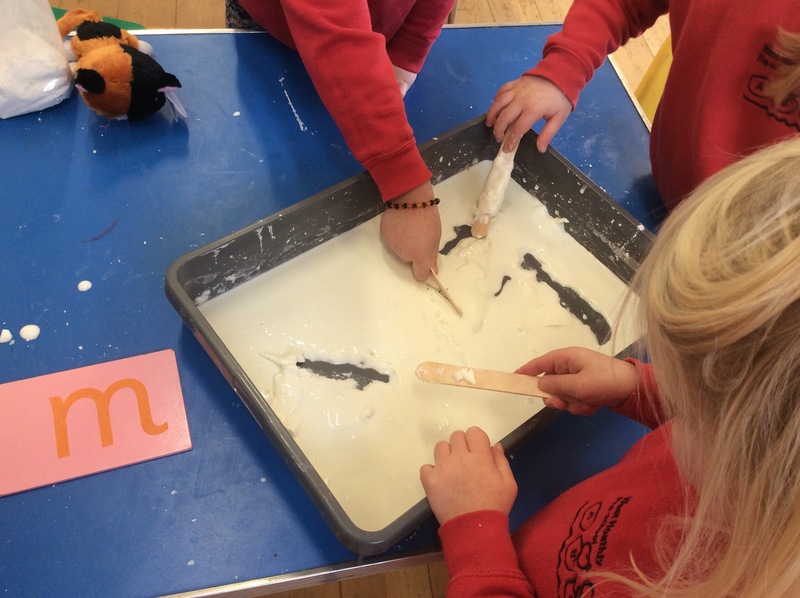 Some of the children used the sandpaper letters and traced the letter into the flour mix using fingers, pens and lollipop sticks. Also the Bee-Bot robot was being used on the island mat. 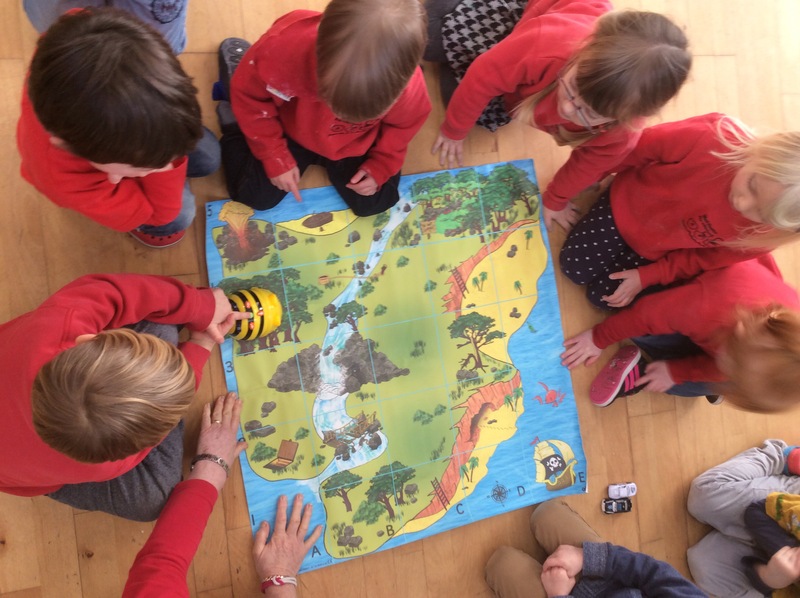 The children can program the direction and movement of the robot.